My reviews try to include handy tips for anyone looking for an inspirational book, books for inclusion in the classroom or just a good read! This book is written by Joshua Love, who is 8 years old. He talks about how his family has put strategies into place to help him.This book is useful for anyone who is interested in ASD – particularly good for any KS1 or KS2 pupils to extend their knowledge and understanding of possible peers or family members. It is a practical book with lovely illustrations by Dennis Ayris which help convey Joshua’s message. This book is so honest and straightforward and easy to understand that you cannot help connecting and empathising – I would highly recommend it to any teacher. A great introduction to the whole subject of autism or special needs – PHSE related topics of inclusivity and respect and team work, this book will start you on the right path if you don’t have anything else at the moment. The back cover contains many ideas for you to explore. 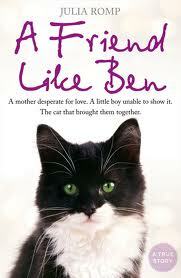 A Friend like Ben by Julia Romp is a beautifully written and heart warming story about the love a special cat called Ben brings out in a little boy and the difference he makes to a family’s life. This little stray cat – Ben, is more human than most humans. Ben and George connect on a level that is just amazing. It will give hope to many who believe that nothing and no -one can get through to their autistic children. But Julia never gave up – this is a story about never giving up, about how to be strong and above all how to love. 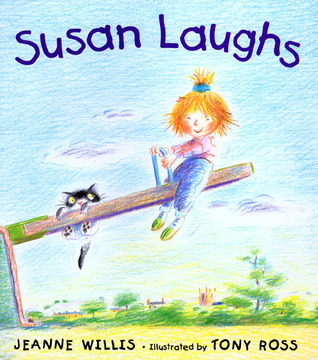 I would recommend this book to any age group – it will certainly have a place in my book corner and will recommend to my children to read. Perhaps it will help some people understand how life can be for some children with ASD and how difficult it is for their families – perhaps foster a little more tolerance and patience. It certainly can make you feel fiercely protective against those who really have much to learn about ‘love’. Augest has two genetic disorders that have given him severe facial abnormalities. His family have been protective of him and he has been home-schooled for most his whole life. 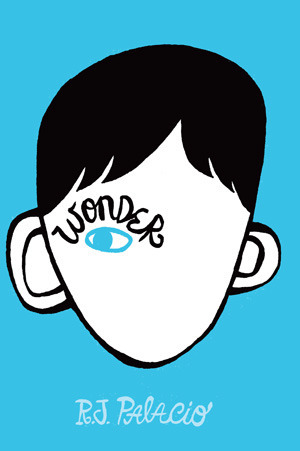 The story tells of him starting 5th grade and of the challenges he faces, the kids who are mean to him and the wonderful friends he encounters. The themes of judgment, compassion, true friendship and courage are both compelling and big. It would be easy for this sort of book to fall back on clichés or cheap emotional ploys, but at every turn it goes a more subtle skillful route. The shifting perspective from a few of the other characters in the book help this, because it gives a full picture of Auggie (as he is affectionately known) and how his appearance has affected everyone in his life. We root for Auggie not because we feel sorry for him, but because of how humane and understanding of others he is (even of their reaction to him – having the ‘Plague’). There are moments where we fear for him but also where we laugh WITH him. I love Mr Browne’s precepts especially: ‘When given the choice between being right or being kind, choose kind’. It is a beautiful book. I would recommend it to anyone who is interested in inclusivity and even to others who are not -it will open their eyes. My sister Rose lives on the mantelpiece. Well, some of her does. Three of her fingers, her right elbow and her kneecap are buried in a graveyard in London. Mum and Dad had a big argument when the police found ten bits of her body. This book encapsulates so many themes: racism,alcoholism, grief, family break-ups, terrorism,bullying and the dysfunctional family unit in general. It provokes so many emotions, sometimes as a reader who feel like shouting at the characters and their actions – which is what good writing does to you – you interact – you grieve with the dad but also want to shake him out of his stale grief and make him notice the children he still has and who need him so much, you sympathise with the main character and you salute the brave little girl who thinks that she’s a superhero too and incorporates her hijab as part of her superhero costume. I loved Sunya and the strength she lends Jamie. It is beautifully written – I challenge you not to get a knot in your throat. 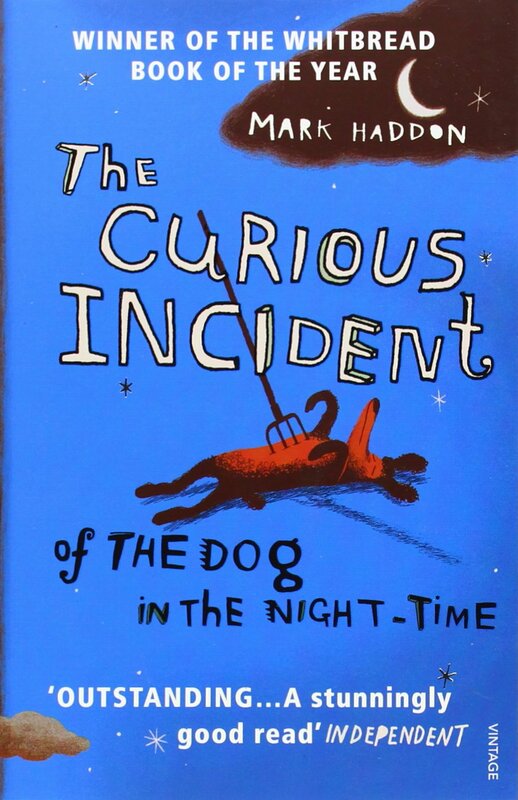 Perhaps not appropriate for primary aged children, but I would recommend teachers in general to read this book by Mark Haddon if you haven’t already. Written from the perspective of a boy with Aspergers syndrome, Haddon shows his knowledge of working with autistic people to give this book a unique flavour. He tackles difficult issues surrounding how autistic people react to others and how they process emotions and gives the reader an insight as to why and how their special qualities manifest the way they do. He is sensitive and patient while he unravels the unique thinking process to the reader, but sprinkles a liberal amount of humour into the situations in the story that had me laughing out loud, even though I felt guilty at finding them funny. Haddon makes you feel that you can laugh. As a reader you begin to understand, sympathise and root for Christopher. Hopefully I shouldn’t need to explain in too much detail why trainees should take the time to read this book. One of the reasons would be to further your own knowledge of Aspergers syndrome perhaps, so that you can educate your own pupils and also be able to become a more rounded, and able teacher that is able to relate to a child like Christopher in your own classroom. Those who live and plan for inclusion, will jump at the chance of understanding these special pupils who have so much of their own unique perspective and flavour to add to school life. 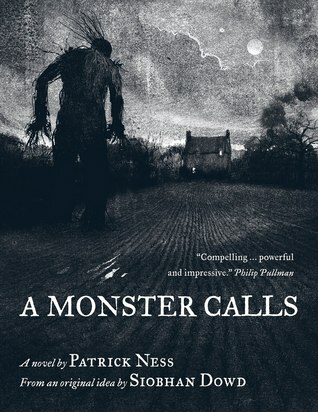 A Monster Calls is a fantasy novel written for children by Patrick Ness and the illustrations are by Jim Kay. Siobhan Dowd originally conceived the ideas for the novel but sadly passed away before its completion. The topic for the book and the its conceived shape and evolution of the story are borne out of Dowd’s personal fight with cancer.The story is set in present day England and is about a boy who struggles to cope with the fact that his mother has terminal cancer. The monster he ‘calls’ tries to help him cope with his emotions that are devastating him. But the illustrations are really amazing. The black and white pen drawings not only add to the story they also expand it, almost serving as a metaphor for the fact that life is not always black or white. I think this book would be excellent for older children.The analytical strategies employed such as deductive and inductive referencing and evaluation could enhance reading comprehension and writing skills. I always enjoy Benjamin Zephaniah’s poems but I especially like ‘According to my mood’ – I love the freedom he lends his writing- through fonts and grammar. Very inspiring. 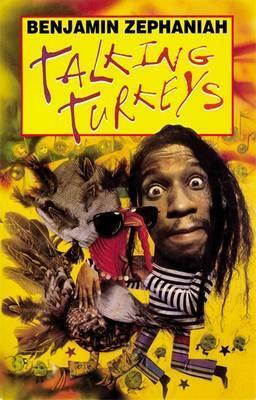 Try ‘Little Sister’ where he uses repetition and bold font to create a rhythm, so too ‘Body Talk’ and listen to Benjamin performing ‘Talking Turkeys’ on YouTube. This is really outstanding performance poetry. Excellent example of a well written and beautifully illustrated book featuring diversity and inclusion. ‘My Brother Sammy’ tells a lovely story of how frustrating and lonely it can be to have a ‘special’ brother. The child begins to appreciate Sammy’s unique perspective – for example, towers can be for ‘knocking down as well as building up’. Finally he begins to appreciate ‘the silky sand’ and ‘sunshine shimmering on the leaves of the trees’ and realises that that having a special brother makes him special too. The text is beautifully accompanied by water coloured illustrations that help you appreciate the multi faceted emotional intelligence that this book explores. 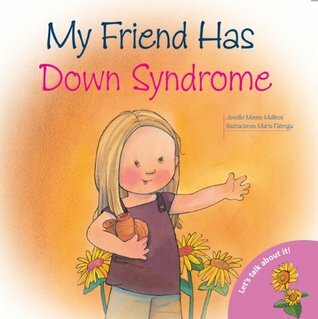 This beautiful picture book explores the friendship between two girls -one of whom has Downs Syndrome. The storyline includes all the things Tammy is good at that we don’t normally associate with these children – motor skills being a challenge with pottery and playing guitar, and the fact that she can help the little girl too. The teacher’s ‘gene talk’ to the young group didn’t resonate with me but that is minor because the rest of the book is uplifting and inspiring. So glad to find a book like this about this particular subject – Tammy is drawn sensitively and absolutely beautifully. I love this book but I have read some reviews where people have taken a very different message away after reading it. 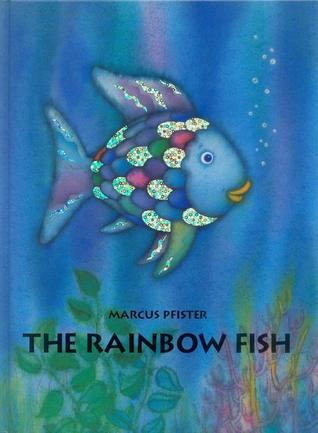 My understanding of it was the transformation of a vain, selfish and lonely fish into a caring fish that ended up having many friends and finally understood that being beautiful was not the most important thing and it was sharing that enriched his life. It was through sharing what he had that he found happiness. I have returned to this story after many years, I was conducting some research about Downs Syndrome and this story popped into my head so I decided to share it with a very special young person that I was working with. I asked them if they thought the book had a message and they echoed what the author said almost in its entirety – amazing and so inspiring! I think that the message you take away from this story has everything to do with your perspective on life and why you think you are here and what your purpose is.